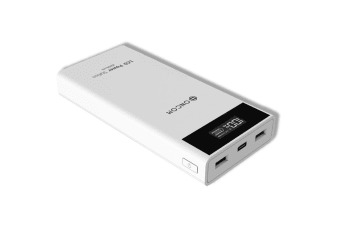 From businessmen always on the go to avid gamers, this power bank with rapid charging capabilities and a useful LCD screen is the practical charging solution for all! Check exactly how much power you have remaining with the nifty little screen on the ONCOM 20000mAh Power Bank with LCD Display and never be caught off guard! This 20000mAh Power Bank packs the power of premium quality LG / Panasonic battery cells into a compact size that can easily fit into your pocket. With a durable high-quality diamond cable that has a flat and anti-winding design and an extra-handy length of 300mm, rapid charging and data transfers across all USB-Type C devices is even more convenient than ever before. Its Qualcomm Quick Charge 3.0 charging capabilities make it the fastest charging device available today!